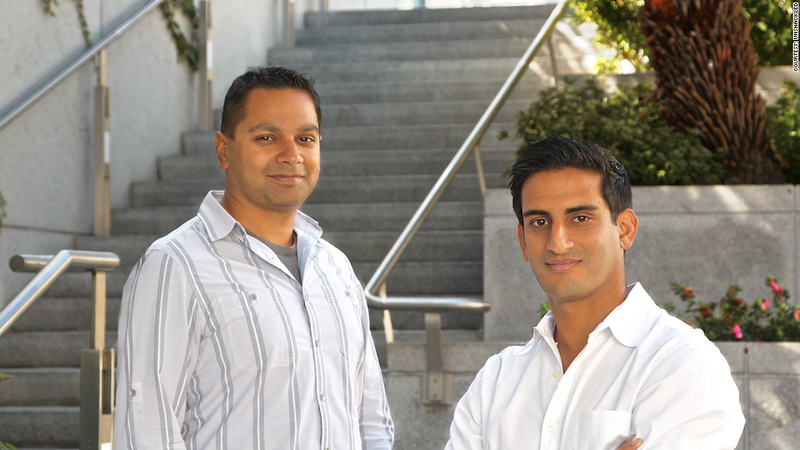 Nitin Pachisia (left) and Manan Mehta launched Unshackled so foreign entrepreneurs can work full-time on their startups. Leave it to a pair of entrepreneurs to create a workaround for America's broken immigration policy. With no startup visa available in the U.S., it's all but impossible for foreign entrepreneurs to start their own businesses. On Wednesday, an angel investment fund called Unshackled launched to provide foreign entrepreneurs (who are already in the U.S. on a work visa) a pathway to work full-time on their startups. The $3.5 million fund will be a hybrid of a research and development lab, an incubator and an employer. That's right -- an employer. The most common work visa for foreign entrepreneurs is the H-1B visa, but it requires immigrants to be sponsored by an employer. This makes it incredibly difficult for entrepreneurs to devote a meaningful amount of time to their startups. In order to get around this, Unshackled will act as an employer and take over visa sponsorship. Unshackled is accepting applications. Over the course of the next two years, the founders anticipate working with 25 teams of early-stage entrepreneurs. They expect the teams will be no more than three people, but there may be exceptions. If there are U.S. citizens on the team, the fund will also take them on. Unshackled will provide a paycheck (salaries will be between $60,000 and $75,000), health benefits and access to investors, legal counsel, PR and workspace. They'll have offices in Palo Alto, Calif., and San Francisco. While there's no timeline of when they'll bring on their first startup, co-founder Nitin Pachisia said it'll happen "as soon as there's a talent pool that we just can't ignore. If that happens next week, it'll happen that quickly." Startups will work with Unshackled for a period of six to nine months with the goal of successfully raising a round of funding. An immigration attorney will help the foreign entrepreneurs navigate the U.S. visa system so they are eventually able to be sponsored through their own companies. "We want to provide immigrant entrepreneurs in this country the same opportunities as current citizens," said co-founder Manan Mehta, who has been stealthily working on creating the fund since March. "They're here because they're some of the brightest, hardest working individuals. Almost 70%, we estimate, have had to bury their innovative idea or have left the country to pursue their startup elsewhere." To form Unshackled, Mehta and Pachisia -- an H-1 B visa holder who moved to the U.S. from India in 2005 -- assembled a team of 55 investors. These include First Round Capital, Brad Feld of Foundry Group and Techstars, and 500 Startups. Mehta said it was no less than a "Herculean task" to do so in just four months. This robust team of investors will be incredibly meaningful for the startups that end up working at Unshackled. According to Mehta, they'll have access to a potential $1 billion in followup funds.